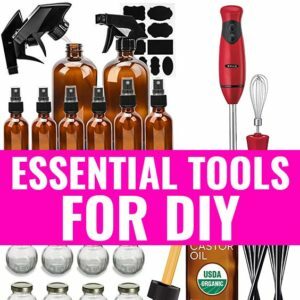 DIY Manuka Honey Eye Drops - beautymunsta - free natural beauty hacks and more! 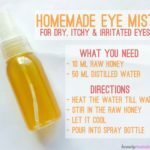 Not long ago, I shared a recipe for a DIY Eye Spray using Raw Honey. Now I want to share something even more powerful and that’s DIY manuka honey eye drops! Manuka honey is the best type of honey out there. It’s got extremely potent antibacterial effects and a high nutrient content that makes it superior to other types of honey. If you’re looking to reduce dry eyes, fight off a bacterial eye infection or even lighten your eye color just a tad, use these DIY manuka honey eye drops. Is Honey Safe to be Used in Your Eyes? Keep in mind, I’m talking about 100% pure organic raw honey. And manuka honey is the best of its kind for eye drops because of its powerful antibacterial properties. Sterilize your amber dropper bottle first. Once sterilized, carefully pour in 40 ml of distilled water using a syringe. Then use a syringe again to add 5 ml of manuka honey. Now close the dropper bottle and shake well to combine the ingredients. Place the amber dropper bottle in a bowl of hot water to heat up and dissolve the honey. 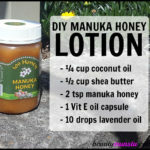 Your DIY manuka honey eye drops are ready for application! Use the manuka honey drops as many times as necessary in your eyes throughout the day. Store in the refrigerator to keep it fresh for long. 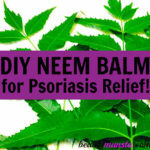 Before use, warm it up by placing it in a bowl of hot water or by keeping it out of the fridge for a few minutes to warm up. If suffering from serious eye conditions like severe itching, redness, discharge and other eye problems, please visit your ophthalmologist. Do not use this manuka honey eye drops for more than 5 days. Keep it refrigerated to prevent spoilage. If it becomes contaminated, do not use. I’m not a doctor and this information is for informational purposes only. 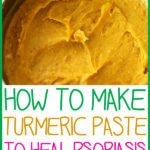 Do not take this as medical advice. Manuka honey is a true natural treatment for your dry eyes, bacterial infections and eye irritations. 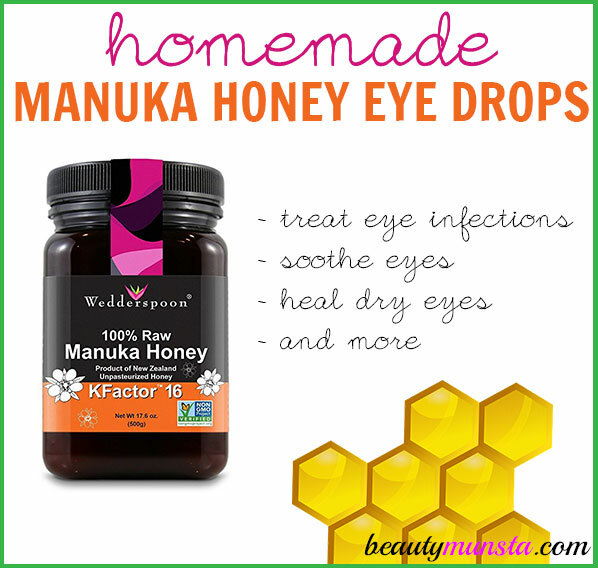 Try these DIY manuka honey eye drops and see what I mean! 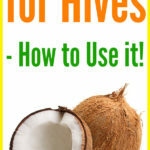 Does Coconut Oil Help with Hives?